Local Worcestershire creative communications agency drp have taken home two awards at this year’s Employer Brand Management Awards for their delivery of Nationwide Building Society’s 5-day interactive employee conference, also known as ‘Our BIG Event’. 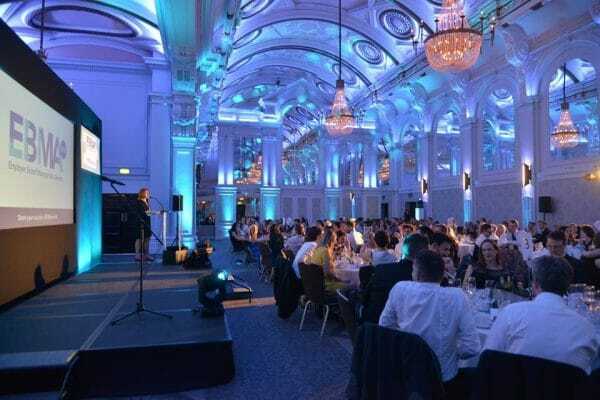 The ceremony was held on Thursday 19 April at the De Vere, Connaught Rooms in London. drp and Nationwide won silver for ‘Best employer brand management event’, as well as winning bronze for ‘Best communication of the employer brand to the internal audience’. The success of the awards follows on from drp’s bronze award win in the ‘Best employer brand management event’ category for EE’s annual conference in 2016. Nationwide’s ‘Our BIG Event’ has now won multiple awards across several award schemes and was a seminal moment in the Society’s history, providing multiple interactive learning experiences with Nationwide’s strategy at the forefront.